One of the great day trips from Cape Town, South Africa is the magnificent Cape Point Route. This is also one of the most remarkable drives anywhere in the world and features steep cliffs, stunning vistas and plenty of sightseeing opportunities! The great Cape Point Route starts in Hout Bay (although some would include the northern extension from Hout Bay up to Camps Bay in the drive as well) and head’s south through the Table Mountain National Park. 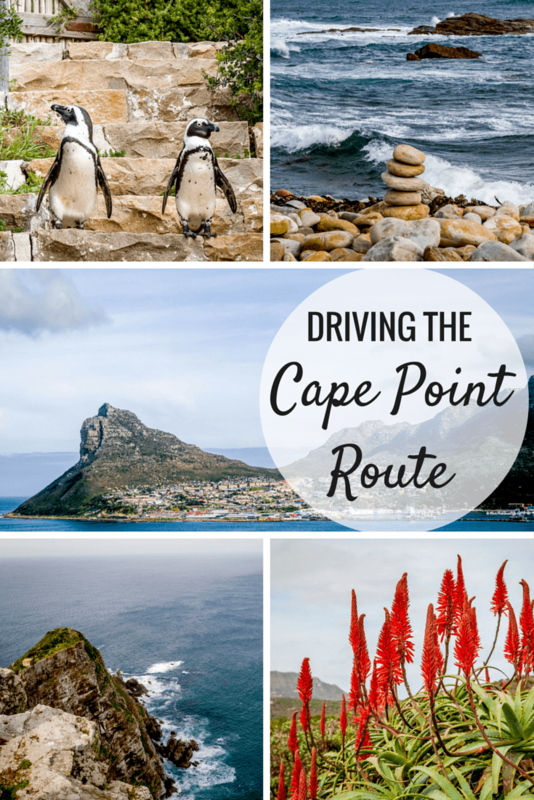 We stayed at the Tintswalo Atlantic lodge, which is strategically positioned right at the start of Chapman’s Peak Drive and the Cape Point Route. The Champman’s Peak Drive grabs your attention almost immediately! 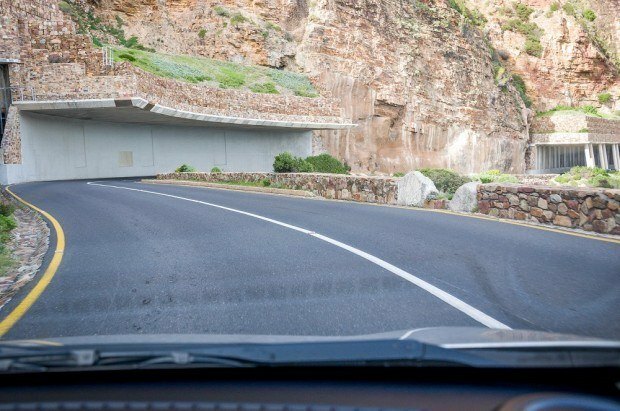 While only 9km in length, there are over 100 tight, winding curves carved into the vertical rock face of Chapman’s Peak. Construction on the road began during World War I and concluded in 1922, providing a more direct route from Cape Town to the Cape Peninsula and the Cape of Good Hope. Heading south, you hug the mountain tightly. But when you drive north, you are right on the cliff’s ledge making it a thrilling drive! 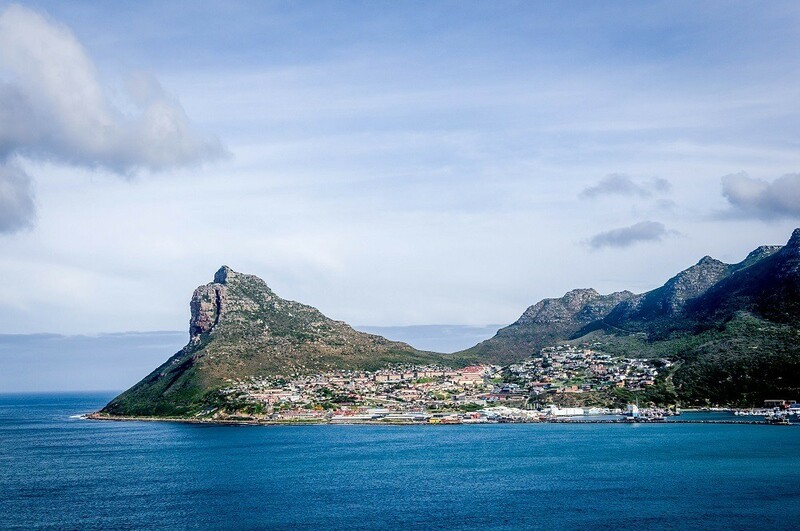 From the road, you look across Hout Bay at the majestic Sentinel Peak in the distance, which is beautifully framed at sunset every evening. 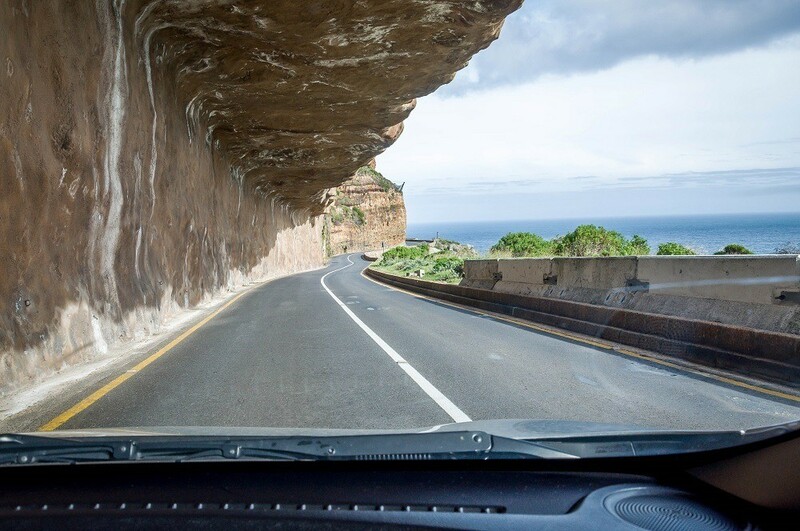 Chapman’s Peak Drive is one of the most thrilling roads anywhere and is a breathtaking start to the Cape Point Route! 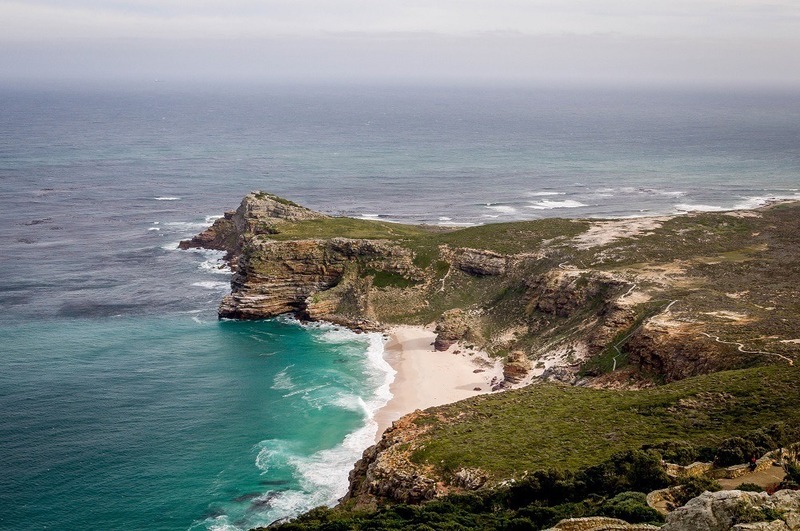 Nearly the entire Cape Point Route falls within the Table Mountain National Park – an 85 square mile area covering most of the Cape Peninsula. The area also falls into the Cape Floral Region Protected Areas, a UNESCO World Heritage Site. 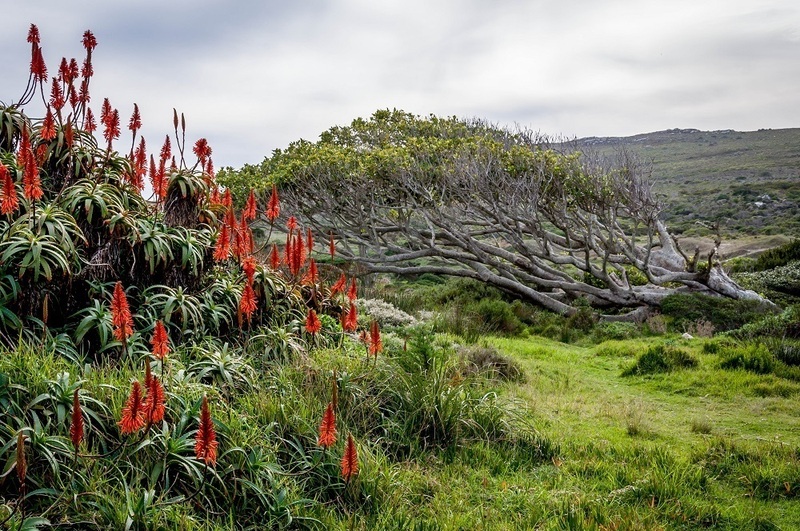 Despite being such a small area, over 20% of the entire flora biodiversity on the continent of Africa is crammed into this small area, including the protected Fynbos plants (the bushes with small leaves that dot the hillside). 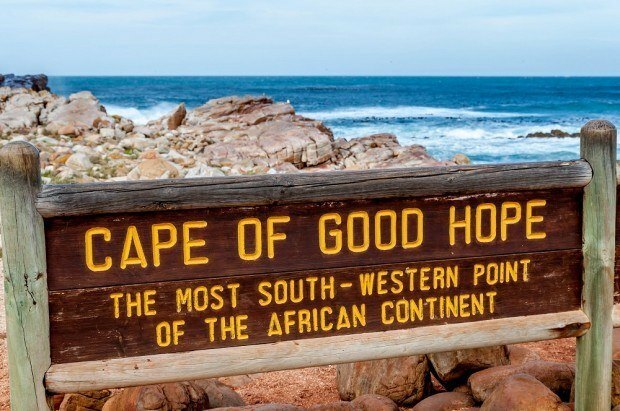 In school, we learned that the Cape of Good Hope is the most southern point in Africa. When the early mariners rounded the Cape of Good Hope, they started heading north to warmer weather. The Cape of Good Hope is also the place where the Atlantic Ocean and Indian Ocean meet. Unfortunately, it’s all wrong. 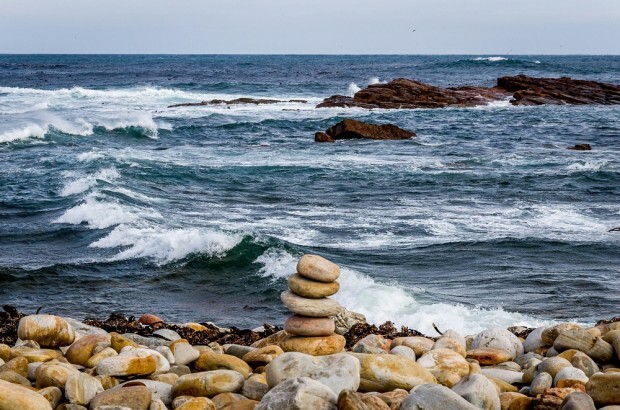 The most southern point in Africa is Cape Agulhas, which is where the cold Atlantic Ocean (Benguela Current) and the warmer Indian Ocean (Agulhas Current) meet. However, in the 1400s and 1500s, mariners believed the Cape of Good Hope to be the furthest south because Cape Agulhas is less impressive than the Cape Peninsula. 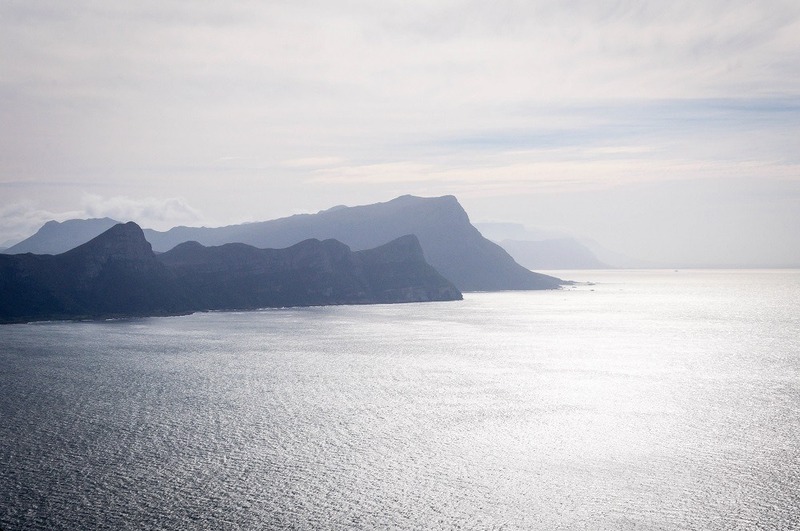 The Cape Peninsula includes the rugged, knife-edged Cape Point and the more understated Cape of Good Hope. 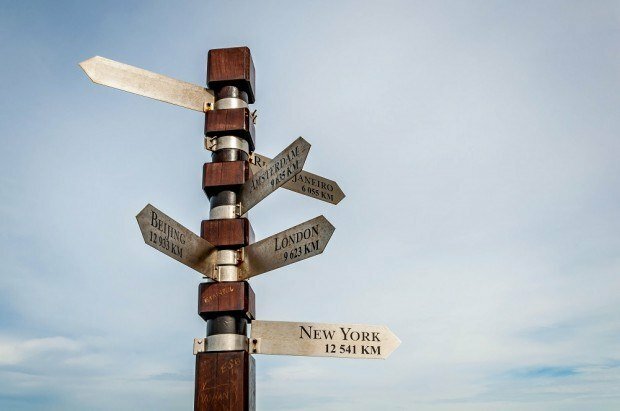 The Cape of Good Hope is slightly further south (34.3581° S) than the Cape Point (34.3572° S), even though Cape Point appears to be further south. Of the two, the Cape Point is definitely more impressive to visit. 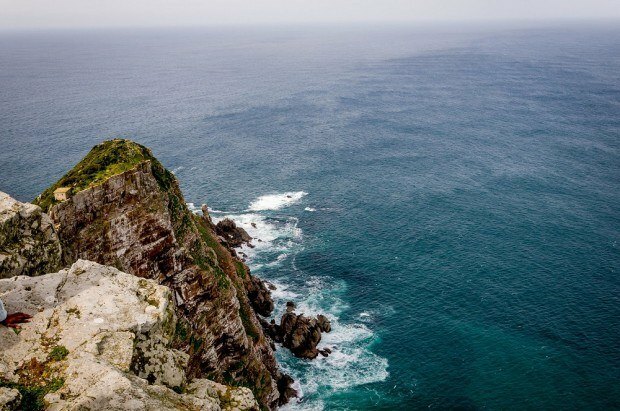 At Cape Point, visitors can hike up to the lighthouse for stunning views of the ocean and the Table Mountain National Park. 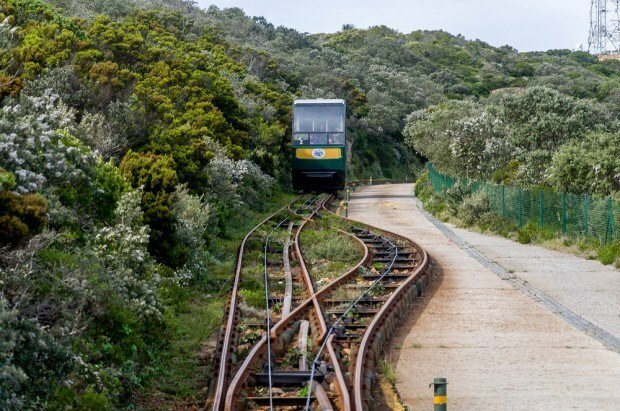 For those less inclined to hike, the modern Flying Dutchman Funicular whisks visitors nearly 300 vertical feet up the mountain in under three minutes. From the top of the funicular, it is a short 10 minute walk up to the lighthouse. The stairs to climb up can be quite steep and narrow. The Cape of Good Hope was a slight detour on the way out of the park. 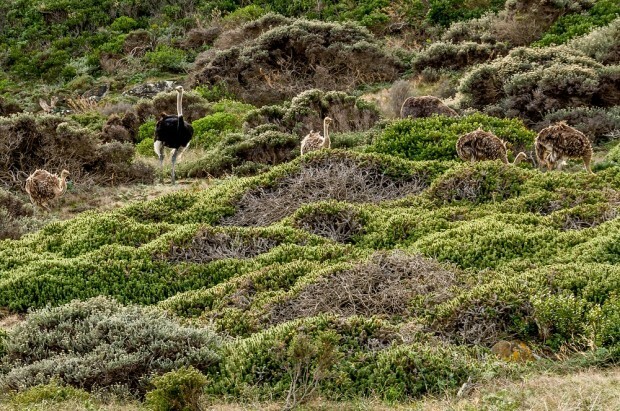 The drive to the Cape of Good Hope gave us the chance to see wild ostriches foraging along the hillside. This point, the most southwestern in all of Africa, lacks the tourist infrastructure of Cape Point. Pulling in, we found a small parking and simple wooden sign marking the location’s significance. As the sea crashed against the rocks, we could almost imagine what those early mariners must have felt passing by this spot. Heading back to Cape Town, most visitors head east along the M4 route, which hugs the coast of the Great White Shark-infested False Bay. We didn’t see any Great White Sharks, but we did see…PENGUINS! Just off the M4 at Boulders Beach, visitors can get up close to endangered African Penguins. In 1982, four penguins found their way to this beach and never left. Today, there are over 2,200 African Penguins at the Boulders. 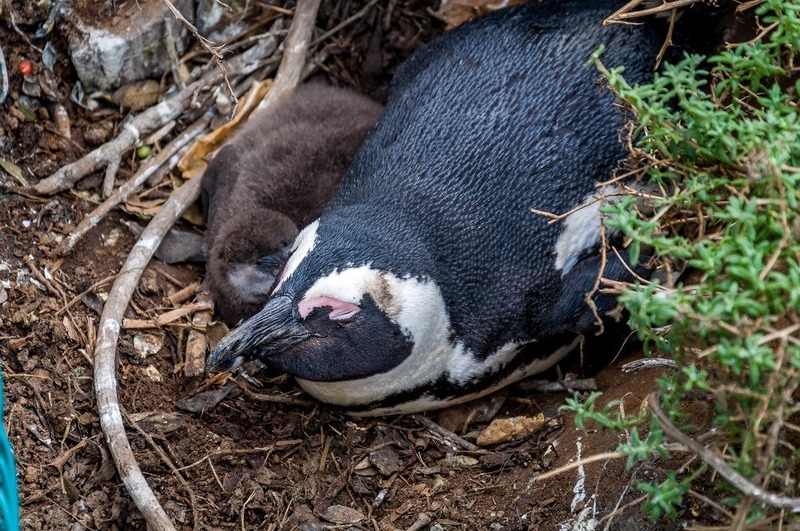 Walking along fenced off paths, we were able to get within feet to the penguin nests and the young “baby blue” chicks in their natural habitat. We spent about an hour watching the parents feed the chicks and herd them in groups on the beach. Occasionally, a daring seagull would land on the beach, only to be chased off by several of the watchful parents. The African Penguins are beautiful to look at, but not to smell. The stench is rather powerful, but we were blessed with a nice breeze! From Boulders Beach, the M4 hugs the coast through the towns of Simon’s Town and Fish Hoek on the way back to Cape Town. Many of the local beaches along this stretch cater to surfers and water enthusiasts. However, no drive of the Cape Point Route would be complete without a visit to a winery. 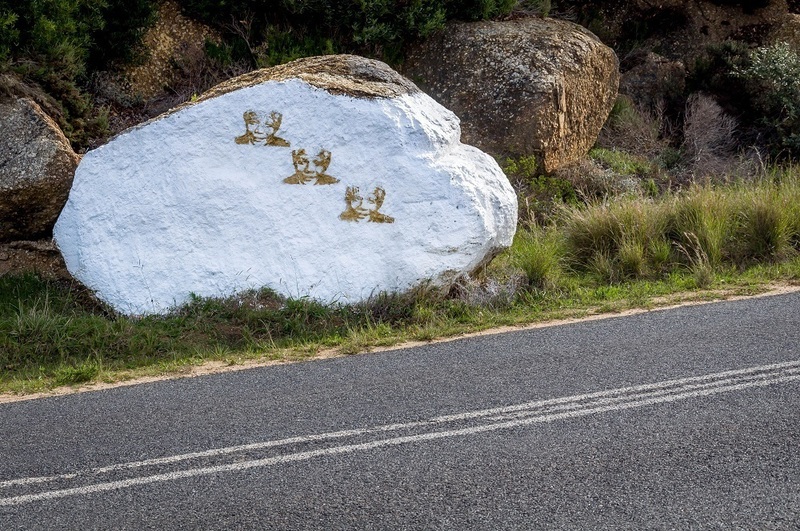 Quite fortunately, the route ends in the Constantia wine region. What better way to end a Cape Town day trip than a glass of South Africa’s finest? While there are a number of great wineries in Constantia, we chose the Steenberg Winery, located on Cape Town’s oldest farm. 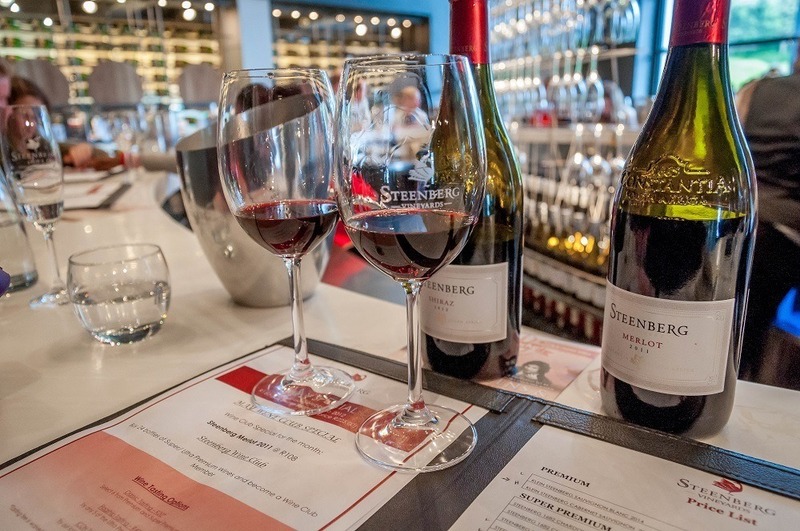 We did a little wine sampling, settled into the Bistro 1682, enjoyed a glass of Shiraz and sampled the tapas, while reflecting on the beauty of the day. 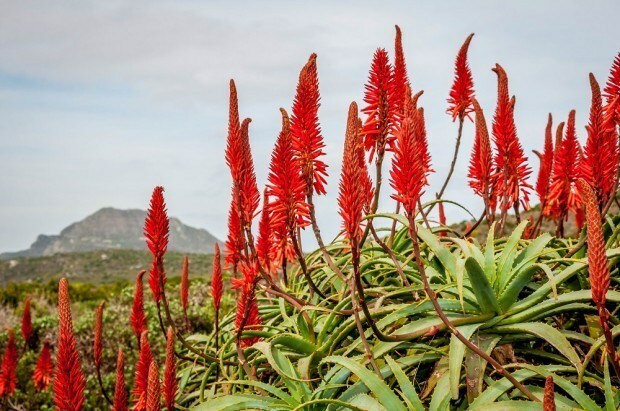 We almost skipped the Cape Point Route in favor of something else in Cape Town – and that would have been a serious mistake. While the Cape of Good Hope is not the most southern point in Africa, it is a place of stunning, rugged beauty. Of all our time in Africa, this was one of the surprising highlights. Overseen by South African National Parks. Admission cost of R105 (~$10) per person. Hours: 06:00-18:00 October-March; 07:00-17:00 April-September. Restaurant and restroom facilities available at the Cape Point parking lot. No facilities at Cape of Good Hope. Cost is R52 (~$5) for adults. Hours: 09:30-18:00 summer; 09:30-17:00 winter. Admission cost is R55 (~$5.50) per person. Hours: 08:00-18:30 summer; 08:00-17:00 winter. Victoria Falls is Gorges (and Wet)! What do you think about The Rugged Beauty of the Cape Point Route? You had me sold with the stunning scenery and Cape of Good Hope. Then there were penguins!!!! Thanks Franca! It’s a “must do” in South Africa. And to think we almost skipped it! Looks absolutely lovely! We’ve been dreaming of visiting South Africa for years but we haven’t found a reasonably-priced flight that works with our dates since FIFA. Cape Town and the surrounding area would be such a wonderful spot to celebrate an anniversary! You had me at penguins. What a cool trip! Oh. My. God. The Penguins!!! Sooooo sweet! And the wine, and those beautiful views. Amazing! 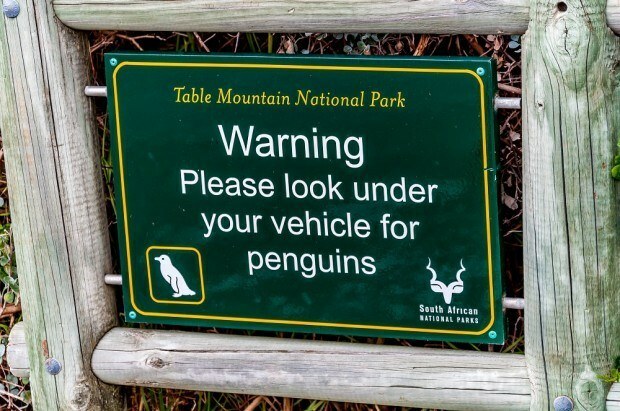 Does that sign (the one about checking for penguins under your car) mean that lots of penguins get hit by drivers!?! That would be so tragic, hopefully the sign keeps that from being the case? Never would have guessed that penguins don’t smell nice! Fascinating! It’s pretty spectacular. And penguins are always a winner. Gorgeous shots! I love the penguins…. dyyyyying to go to south africa, we can’t even tell you. 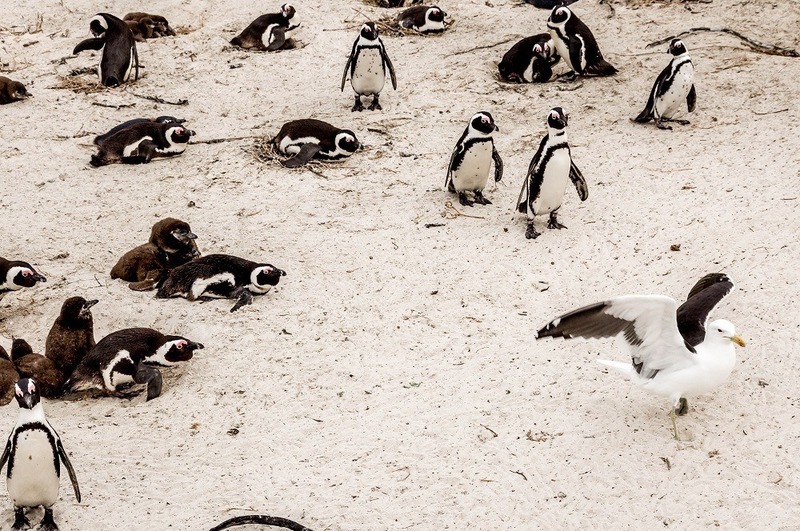 gorgeous photos, and how adorable are those penguins!? so keeping this in mind when we finally get to plan a trip of our own. It was so amazing. Initially we thought it was a once-in-a-lifetime opportunity, but now we have to go back. Drove this route in 2012 when in Africa for 2 months between Cape Town and Nairobi, and it is a stunning day out of Cape Town. Have been to Cape Agulhas, the most southern tip of Africa, but not as scenic as this route, but worth going for the experience. You can see many photos of our Africa trip, including one month on safari between Johannesburg and Nairobi, as well as over 8,000 photos from around 80 countries all over the world. Some of those shots are so funny: the rail, the road sign to check under the car. But I really like the one with the beautiful laying tree. Isn’t this just the most gorgeous drive anywhere? The landscape, the bluest of blue ocean, the African sun, and of course the penguins… Did you see the baboons, too? The drive is great. We were lucky to avoid the baboons on this part of the journey, but we saw plenty elsewhere. Gorgeous pictures! Heading there this fall and can’t even wait for these beautiful views and whale watching season, especially in spring with the flowers in bloom!